Everything is in the dip. And very easy to make. I, personally, thought it was a bit too hot, but everyone else disagreed. They all loved it! This makes quite a large recipe, so you could easily half it. 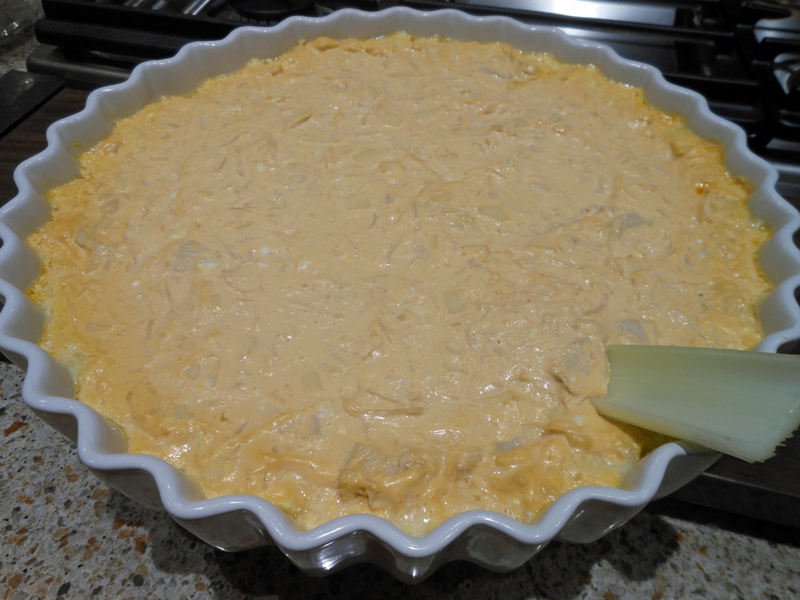 In a large bowl, beat cream cheese, sour cream, salad dressing and hot sauce until blended. Stir in chicken and cheese. Serve warm with celery, carrots, or crackers.